I had a request from a special friend for more photos from our new life at 7,000 feet. 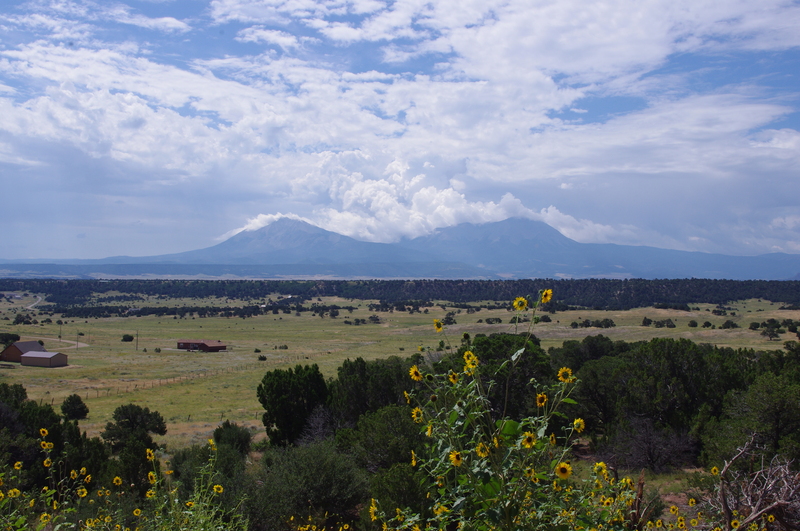 We just completed a passive solar home in southern Colorado, and are now gently settling into a whole new way of life, one of amazing peace and ever-changing natural beauty. 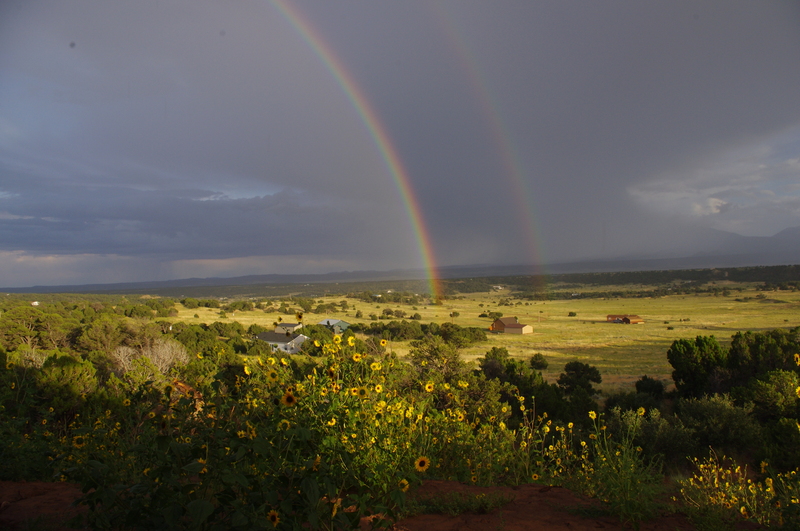 On Sunday we had our first official guests, and the sky decided to produce a double rainbow in their honor… we treat our guests right up here! 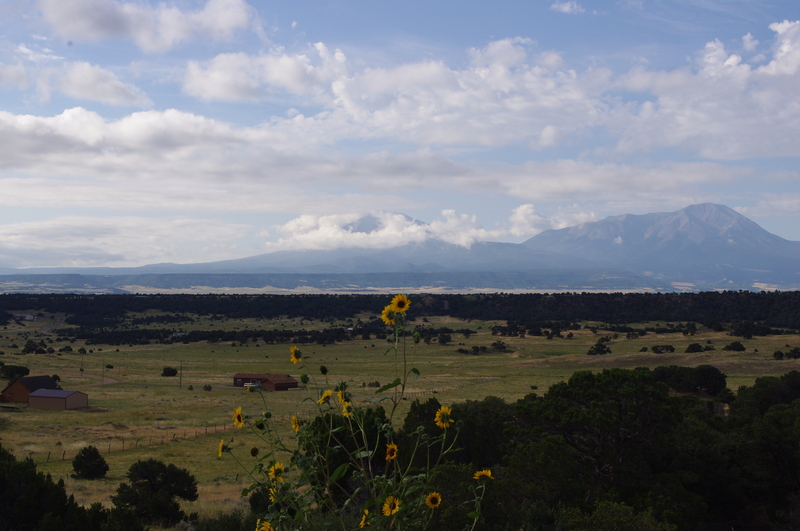 Then, on the next day we had some cool clouds hanging around the Spanish Peaks. Some might find so much cloud-watching boring, but at age 62, after moving twice in the past year and building this beautiful passive solar home, we are enjoying the hell out of this! Colorado is a wellness place for me! Thanks for sharing your amazing images with us office bound folks today. A definite pick-me-up for the day ahead. Wow. I’ll bet it’s even lovlier than you imagined. What a vista. Yes. Lovely doesn’t begin to describe it, but now we’re getting more of the smoke from all those wildfires west of here….